Welcome to the latest edition of EMJ Oncology, providing a selection of articles regarding research from the expansive field of oncology as well as news from the European Society for Medical Oncology (ESMO) Congress. For those who were unable to attend the biggest oncological event of the year, we have all the latest updates right here, from the magnificent Nordic city of Copenhagen, Denmark. We have included a wide array of abstracts showcased at this year’s spectacle as well as the latest updates from the wider oncological world. This year’s event spanned an impressive 5 days, welcoming many participants from all over the world. The congress review this year is not to be missed, covering a range of topics including clinical trials and further considerations of cancer treatment, and the financial burden such an illness has for patients. We also include two fascinating feature articles based on interviews that were undertaken with two prominent researchers at the ESMO Congress regarding the studies they presented at the event. This year our Editor’s Pick comes from Nielsen et al. who explore muscle dysfunction in childhood cancer. According to Nielsen and colleagues, emerging evidence implies that muscle toxicities related to treatment could go on to produce long-term consequences. This captivating article suggests that skeletal muscle toxicities could indeed be an integral part of the development of late adverse effects in childhood cancer survivors. Delving deeper into our eJournal, Lipski et al. deliberate the safety and efficacy of endoscopic surgery. Within their article, the authors discuss the importance of further studies concerning new technology. Adil et al. provide a review on gastrointestinal stromal tumours, commonly known to occur in all parts of the gastrointestinal tract in older patients. Kaggwa et al. discuss bladder outlet obstruction in men with prostate cancer in a Sub-Saharan environment. This retrospective study was conducted in a hospital in Kampala, Uganda, which set out to investigate the efficacy of certain therapies to relieve the symptoms. Blau et al. provide an overview of somatic mutations in myelodysplastic syndrome patients, and additionally, Jung et al. examine microRNAs that confer resistance to different treatments in breast cancer. 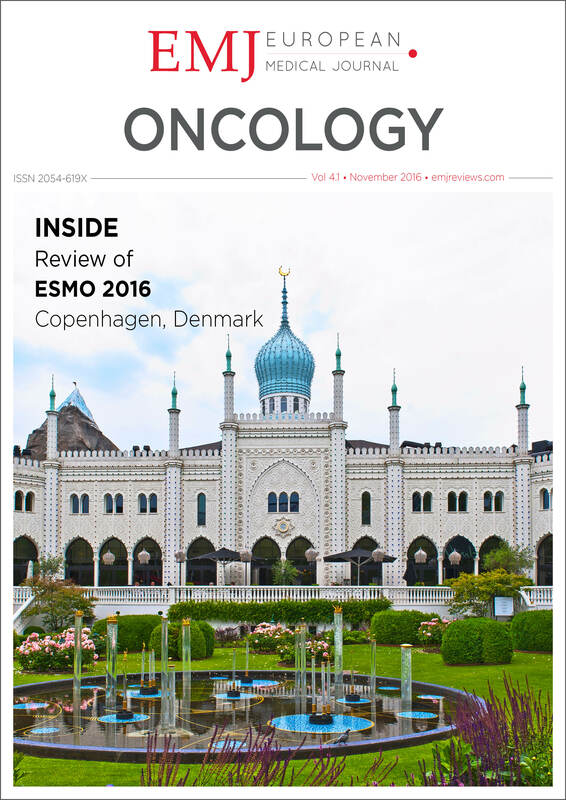 What's included in this edition of EMJ Oncology? Martin K.F. Nielsen et al. Samuel M. Lipski et al. Md Tanveer Adil et al. 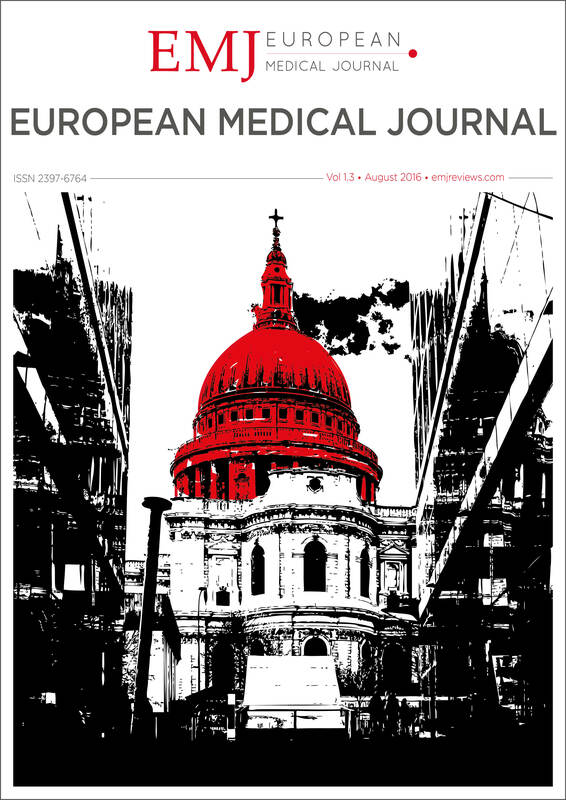 Here at the European Medical Journal we are confident that you will find this year’s edition of EMJ Oncology a captivating read, and hope that you will find it useful to your daily practice going forward. Ensure you make time to subscribe to the EMJ, for the next edition of our flagship eJournal, European Medical Journal 1.4, which will be published in mid-December. Additionally, do not forget to browse EMJ 1.3, published earlier this year, encompassing a broad spectrum of therapeutic areas. To keep on top of our day-to-day progress and receive regular news and events updates, please connect with us on Facebook, Twitter, and LinkedIn. Registration No: 08198092. The information contained in this message is confidential and maybe legally privileged. It is intended for the addressee(s) only. Any unauthorised use, dissemination of the information, or unauthorised copying/forwarding of this message is prohibited. If you are not the intended addressee, please notify the sender immediately by return email and delete this message. Any views expressed in this message are those of the individual sender, except where the message states otherwise and the sender is authorised to state them. To ensure that you continue receiving our emails, please add us to your address book or safe list. If you are receiving this email continuously and if you think this is SPAM, please report to circulation@emjreviews.com and we will try our best to resolve your concerns. If you would like to Subscribe, please follow the link at the bottom through to our automated system, alternatively if you would like to Unsubscribe please also use the link provided.